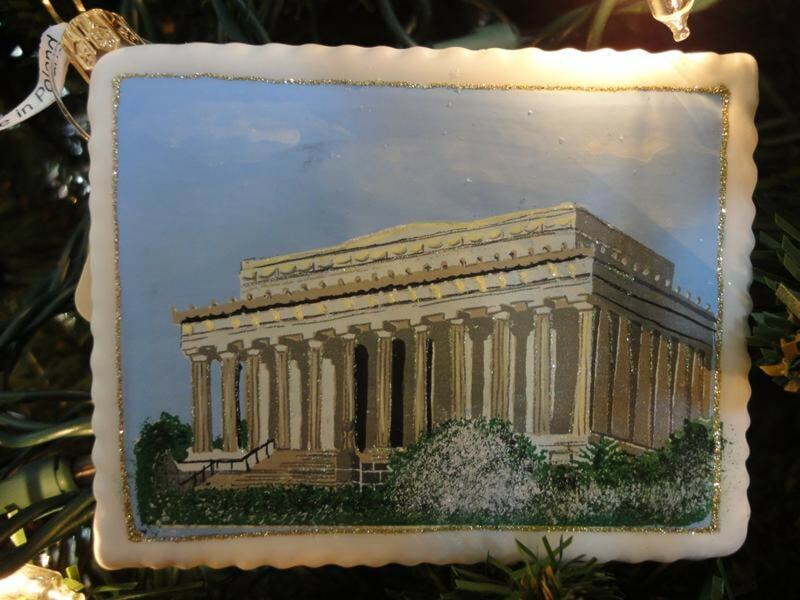 The Lincoln Memorial Postcard shaped ornament. Address the back to a friend. Hand-painted in Poland. Blown glass. The Lincoln Memorial honors America's sixteenth president. Gift Boxed.